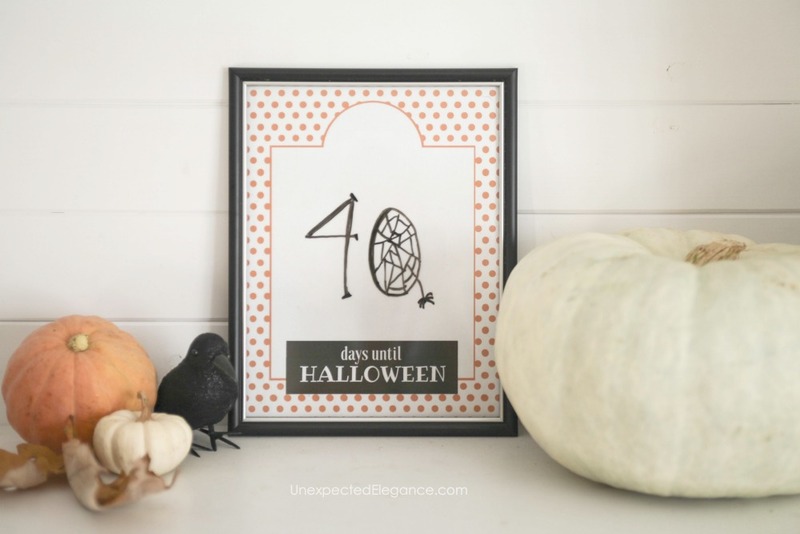 This Halloween Countdown Printable is a fun way to create anticipation up until the big day! Download it today and update daily. Has anyone already bought Halloween costumes?? My kids have been planning for months and we just bought a gigantic panther head for my youngest. Halloween is right around the corner and chances are you and your family might be in the same boat. A fun way to get ready for it is to count down to the big day. 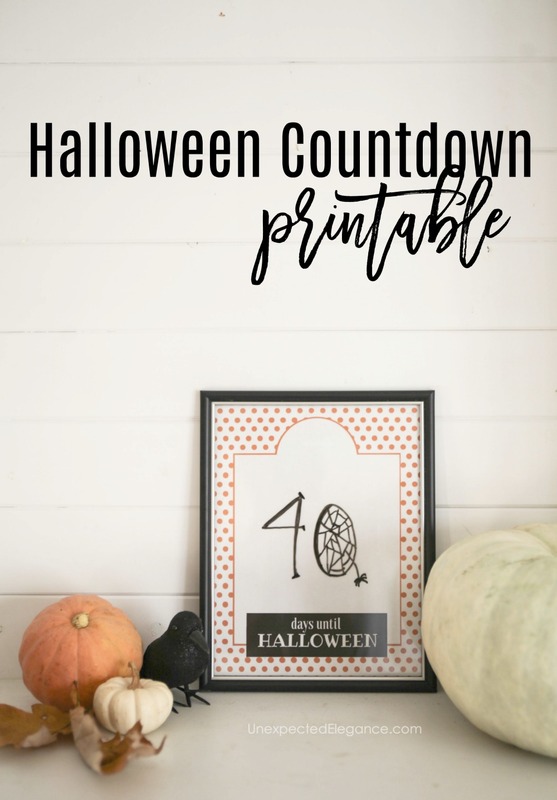 This Halloween Countdown printable is a fun way to get your kids excited about counting down to Halloween. You can choose to print out multiples of this printable or you can frame it and use a dry erase marker to change the number each day. The second option is really fun because you and your kids could decorate the frame as a fun rainy day activity. Either way, this is a fun printable that everyone is sure to love. 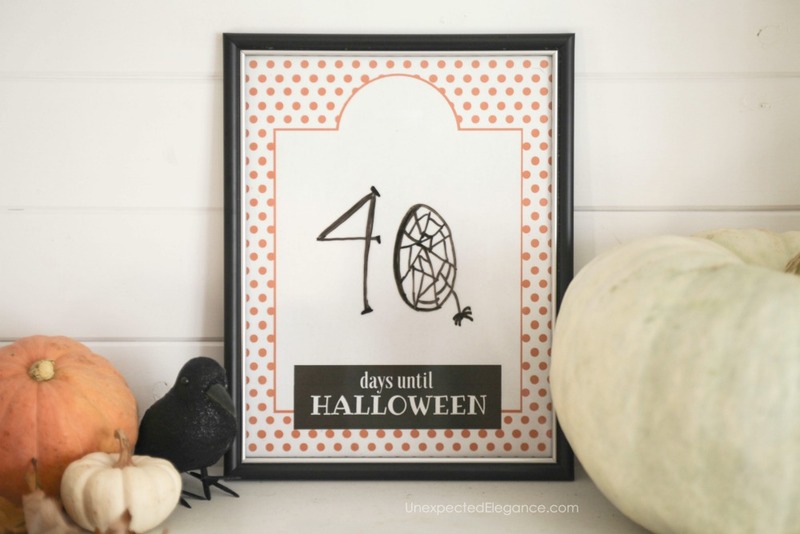 This Halloween Countdown printable is a fun way to curb the anticipation leading up to the big day…the kids can see EXACTLY how many days are left! I suggest you frame it and use a dry erase marker to change the number each day. (I used a certificate frame similar to THIS one.) 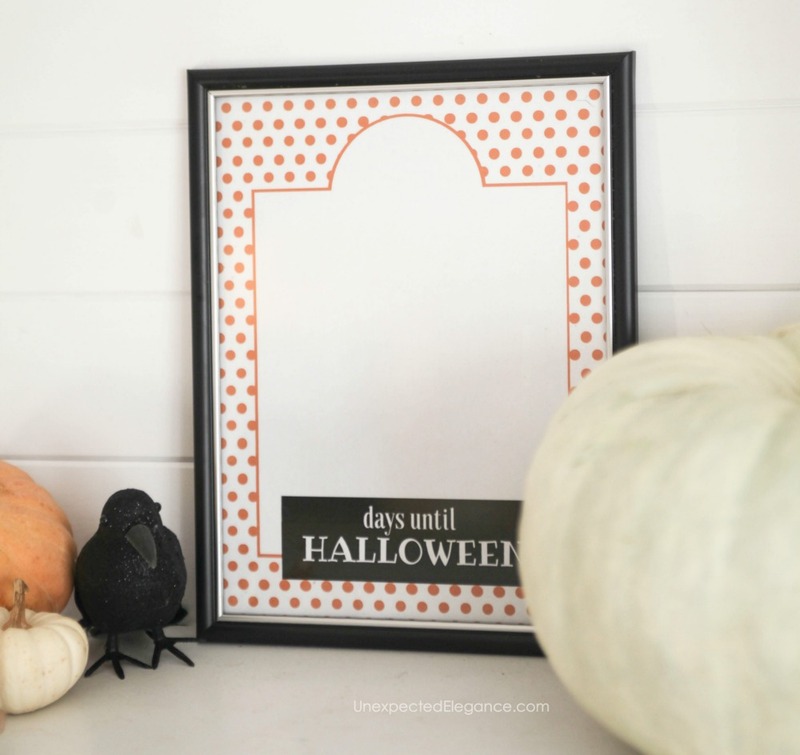 You and your kids could even decorate the frame as a fun rainy day activity. Either way, this is a fun daily activity that everyone is sure to love.